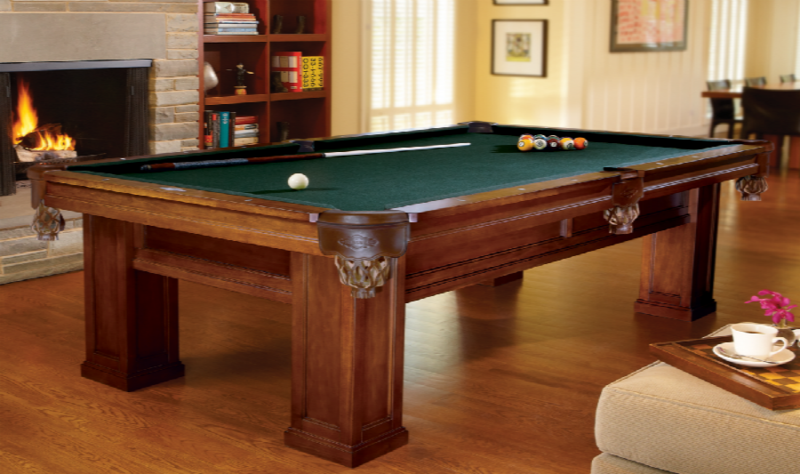 To Customize Your Game Room. Click Here. 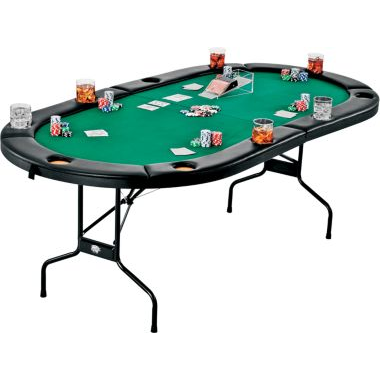 Get ready for some serious fun with the Fat Cat Texas Hold'em Folding Poker Table. 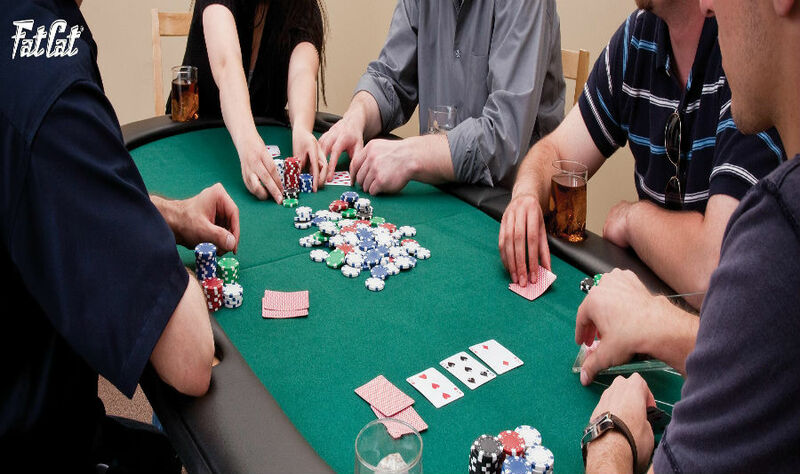 The green-cloth playing surface keeps chips and cards from shifting, while the water-resistant cushioned rail delivers comfort through the longest tournaments. Table-lock suspension system provides a rigid, stable platform. 10 built-in drink holders prevent beverages from spilling onto the table. Collapsible metal legs and folding center make for easy, out-of-the-way storage. Set up: 83.5"L x 41.8"W x 29.5"H. Folded: 41.8"L x 41.8"W x 4.5"H. Wt: 47 lbs. 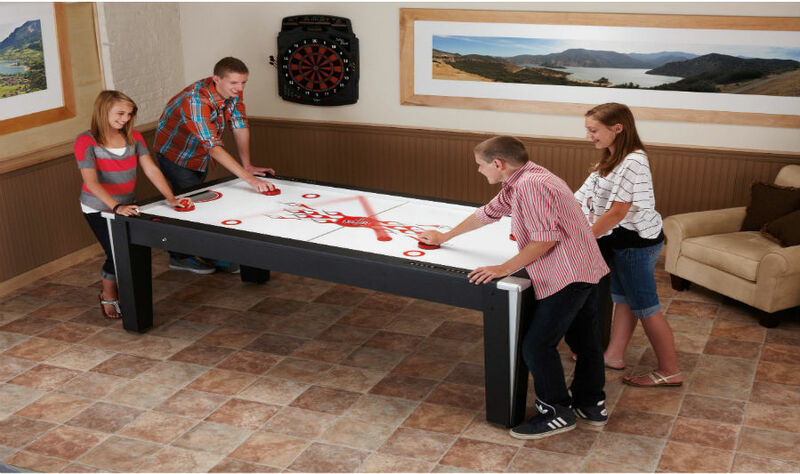 Brunswick CT8 Table Tennis Conversion Top Features: Stylish black color with Brunswick brand. The top has a thickness of 18 mm for maximum durability. 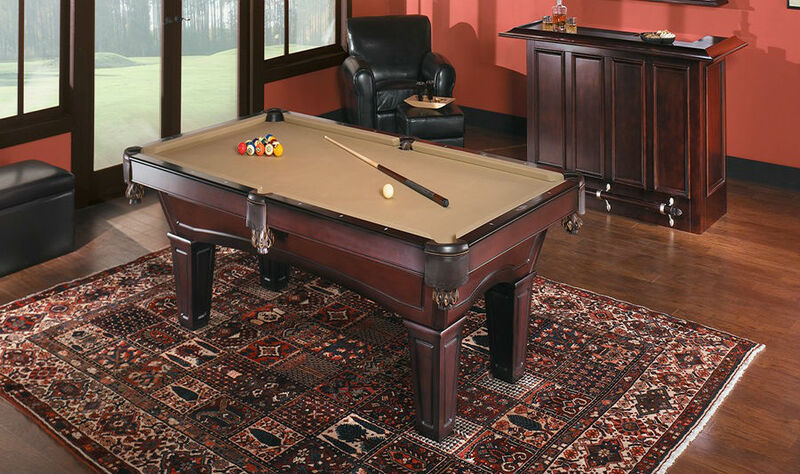 Features heavy-duty foam padding on the underside to help prevent damage to your billiard table. 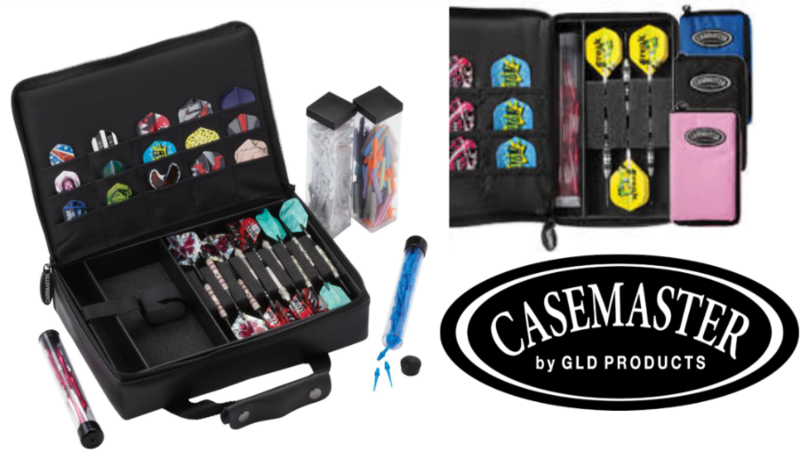 Set of two premium paddles, six balls, clip-on net and post set is included. 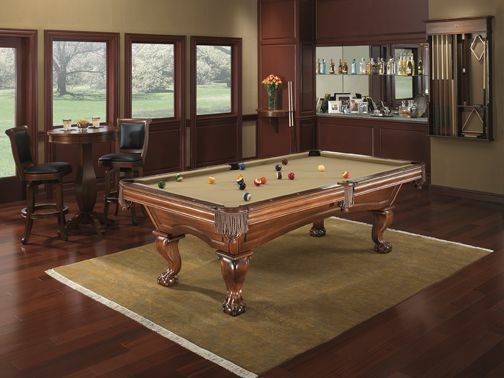 Dimensions: 107.8" x 60", fits most seven- and eight-foot billiard tables. Weight: 140 lbs. 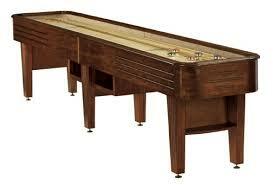 Family-friendly fun begins with this classic shuffleboard table. 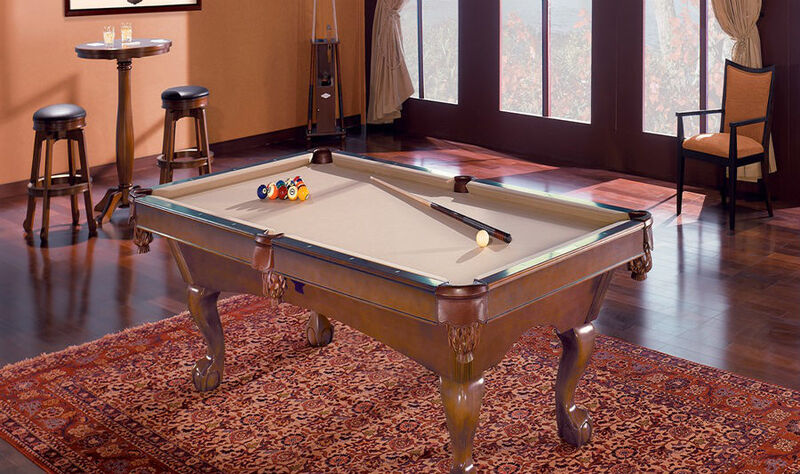 Featuring a North American maple wood playfield and polymer resin surface, this table is exquisite in its playability and appearance. 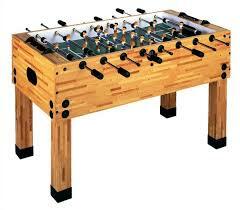 Available in 12- and 14-foot sizes with a contemporary chestnut, espresso or driftwood finish. 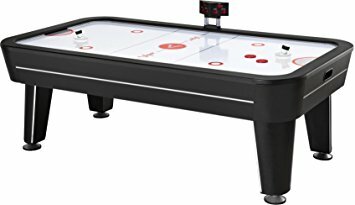 Features convenient storage shelves found at the center leg and accessories (including four black pucks, four red pucks, stainless abacus scorer, table brush, and Shuffleboard Wax), the Andover provides a unique visual complement to any home game room. 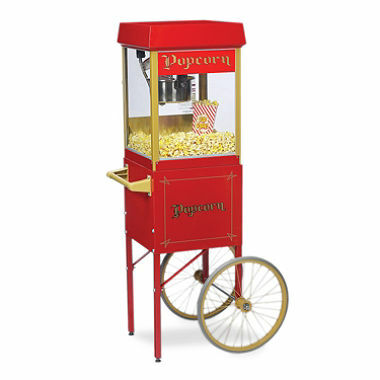 Add excitement to your game room with America's oldest snack - Popcorn! Did you know that Americans consume some 16 billion quarts of this whole grain treat each year? That’s 52 quarts per man, woman, and child! It doesn’t matter how you cover it: butter, caramel, or dusted with black truffle oil and parmesan cheese. Popcorn is the tasty treat that’s dominated the world’s snacking culture for centuries. Popcorn is also so much more than a snack; it’s a unifying factor across the globe. Everyone fondly remembers when they had their first taste and exactly where they were. 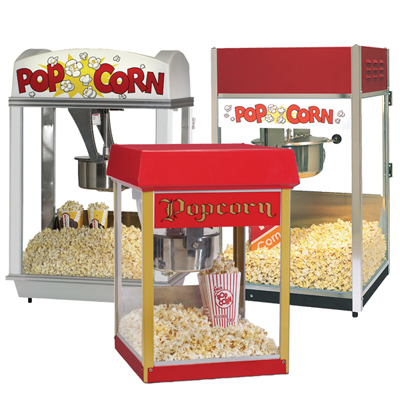 So…why not add this tasty treat to your home theater room or game room? 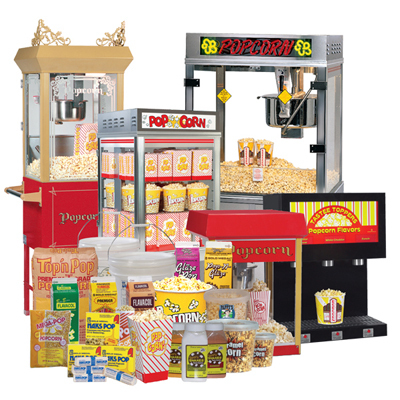 Powers Home Games is also your one-stop shop for everything you need including carts, accessories, popcorn supplies, popcorn staging cabinets, cleaning supplies, and much, much more! What can we do for you? 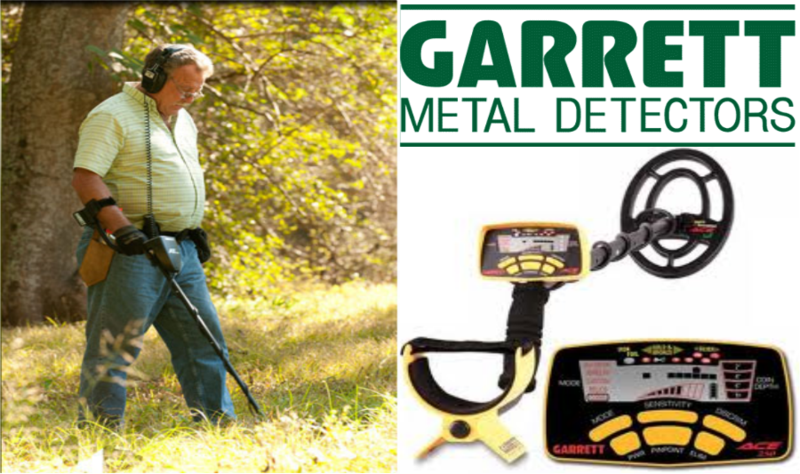 Located at 1155 Wilson Ave Pocatello ID 83201. Inside Powers Candy Co. Inc.
Open Monday through Friday 8am - 5:30pm. Saturdays by Appointment.